MICHAEL BYERS illustrates another great map for 5280 | Denver’s Magazine. We are so grateful for all the continued support in Mike’s work as we’ve been working with them for years. 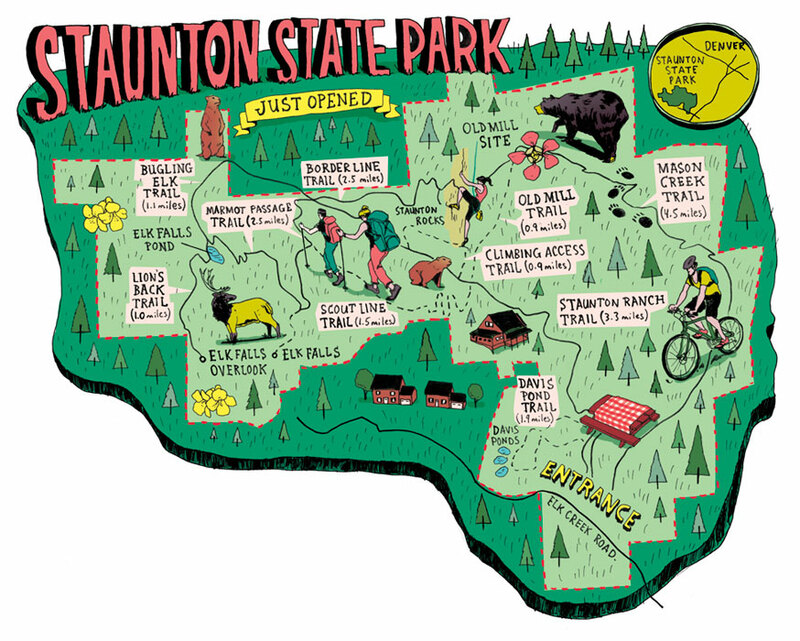 This was for an article on the 5280 Guide to Colorado’s first new state park to open in 7 years – Staunton State Park. If you’re in Colorado, check it out!